This litter is spoken for. Our next breeding is planned for November, 2013. 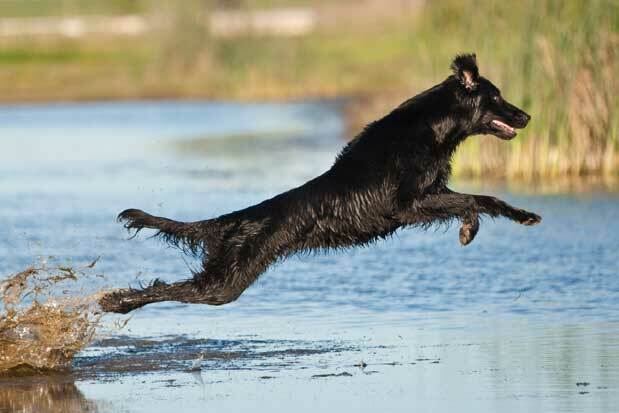 Combining two outstanding temperaments, this litter promises personality plus puppies filled with good humor and a more than healthy dose of Flat-coat joie de vivre. 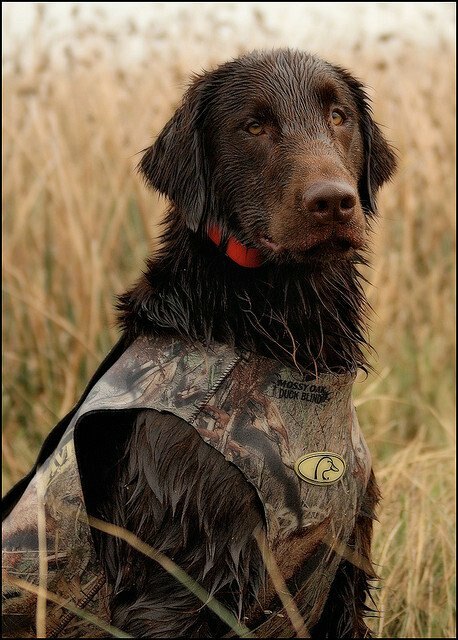 As both Lilah and Fire Truck have well proven themselves in the duck blind and upland field, we anticipate bold and versatile hunting prospects with superb instincts, retrieve desire, water attitude, and biddability. Delilah's past puppies have enjoyed rave reviews, sharing her affable nature, eagerness to please, and overall soundness. Our own pup, Julep, has already shown her future promise, placing in her show class at the National Specialty, and earning her Working Certificate, and three Junior Hunter passes. This will be Lilah's final litter. All puppies will be black, carrying liver. The quintessential 'gentle giant,' Fire Truck is an infinitely tolerant lad with a heart of gold. As the farm's resident comedian, Fire Truck's sense of humor and natural showmanship ensures everyone stays well entertained. 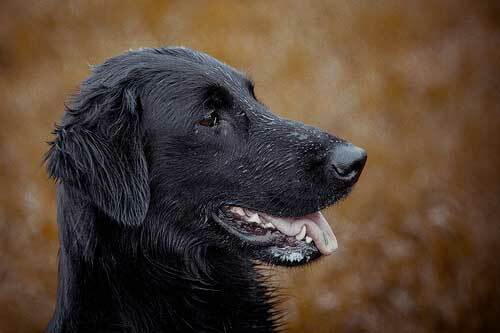 Lurking beneath the act, however, lies a serious retriever game for action. Armed with a retrieve desire bordering on obsessive, Fire Truck is master at eliciting a game of fetch, and is rarely seen empty-mouthed. If a ball or bumper is not available, he will resort to whatever happens to be on hand - fire wood, shoes, rocks, your shirt sleeve. His desire proved fruitful in field venues, where he earned his Senior Hunter, and JAMmed the Steady Singles competition at the 2010 National Specialty. Having since retired from performance events and the show ring due to an unfortunate eye injury, Fire Truck shines as a full time hunting dog during waterfowl and upland seasons, sometimes retrieving two limits' worth of ducks and pheasants in the same day. Steady, yet explosive in the duck blind, and a staunch pointer in the upland field, Fire Truck has developed quite the fan club among my hunting buddies, and often gets to go hunting without me. Now 7 years old, Fire Truck's sound structure has served him well, and he continues to move with excellent fluidity, precision and extension. We hope his puppies inherit his wonderful temperament, retrieve desire, overall soundness, and hunting instincts. Read more about Fire Truck. As my ‘Jekyll & Hyde’ dog, Delilah is a sweet as sugar house dog who explodes into action when set to task. Utterly adaptable and friendly to all, Delilah is a ‘go anywhere, do anything’ gal with an adventurous spirit and well developed sense of humor. A pleasure to work, Lilah has three senior hunter legs to her credit and will finish her title and embark on her Master career next spring. She won the Unsteady Singles Competition at the 2010 National Specialty and JAMmed the Steady Singles competition at the 2012 National Specialty. Delilah's full potential is witnessed on the hunt. Living up to her promised versatility, Delilah has often enjoyed a morning retrieving waterfowl followed by an afternoon pheasant hunt. 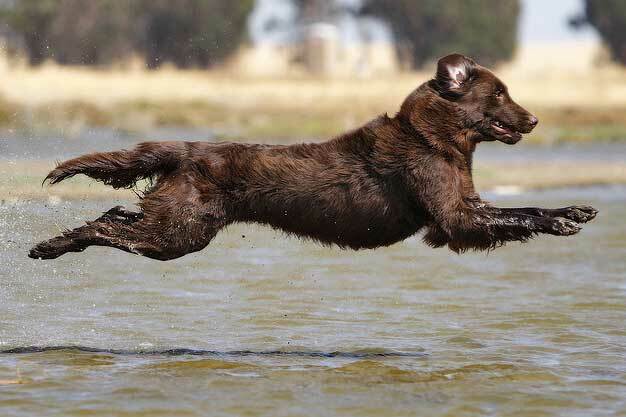 An attentive retriever and bold water dog, Delilah has earned a regular stoop in the duck blind, while in the upland field, Delilah's excellent nose, methodical quarter, cover-busting attitude, and airborne flush make her a bird-finding force to be reckoned with. Complementing her athletic spirit and endless perseverance, Delilah sports an elegant build not lacking in power, and exhibits clean and balanced extension on the move. A strong, level topline and glossy, easy-care coat complete the package. Though a wonderful Mum who loves raising her pups, this will be Lilah's last litter, as we wish to focus on her hunt test career, but only as her busy hunting schedule permits. Read more about Delilah.